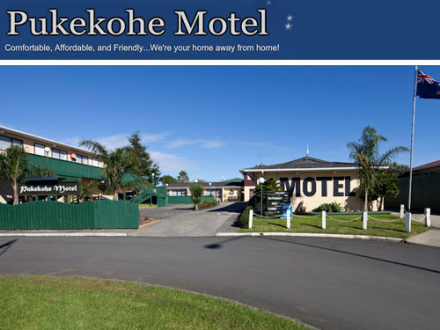 Pukekohe Motel is located in the Auckland suburb of Pukekohe. The motel has 9 self-contained units and the room options are 4 studios or 5x1brm. Pukekohe is located at the southern boundary of Auckland city near the Bombay Hills. The Pukekohe hills nearby gives remarkable views of the surrounding region and the city. With 9 self contained units available, we offer comfortable accommodation at a very affordable price. All units are re-serviced daily, there is a licensed restaurant directly across the road, and a very convenient dairy at the entrance of the motel. Better yet, the main street of Pukekohe is only an 8 minute walk away! 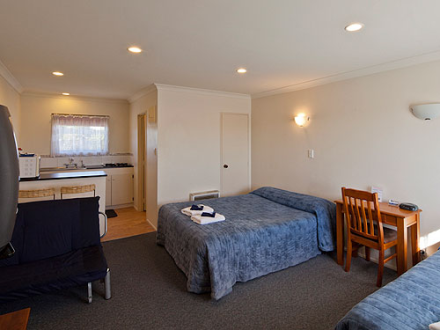 In 2007, Pukekohe Motel underwent extensive refurbishment, remodelling and renovating our units. Though, improvement is a constant factor for us to enhance our products and services and ensure our guests receive the best possible stay. We are approximately 40 minutes drive from the Auckland International Airport. 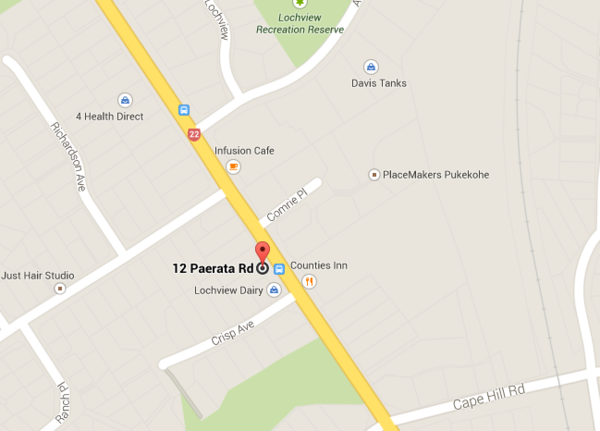 Coming from Auckland - turn right at Drury onto State Highway 22 and you will find us in Paerata (just north of the Pukekohe township). Coming from Hamilton - Turn left at Bombay onto Mill Road. A high-chair and port-a-cot is available free of charge. Continental breakfasts are available for a small charge of $8 per meal. Breakfasts include toast and condiments, fruit, cereal, and fruit juice. Prepayment: You will be charged a prepayment of the first night after reservation. We require 48 hours notice of cancellation, if this is not received and you do not arrive we will charge you a one nights accommodation. 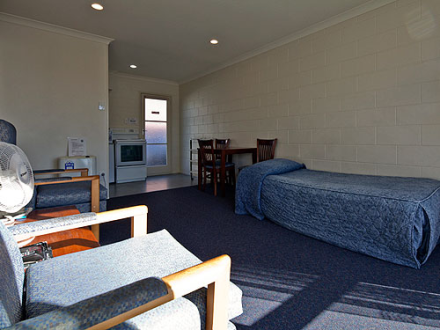 All children under 12 years are charged NZD 15 per night for extra beds. Check-in time is from 2pm onwards, and check-out time is 10am daily. Late check-outs and early arrivals are available by arrangement also.